UB’s Albert Titus is working with researchers at Sentient Science to create wearable technology with military and health care applications. 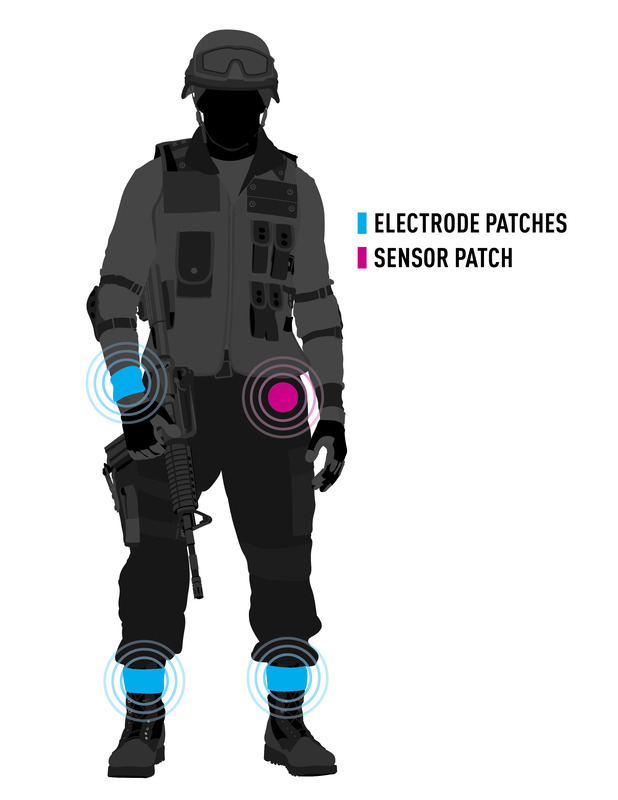 Silhouette image of a soldier wearing a wearable sensor system that can detect an individual’s level of stress, fatigue and resilience. The wearable system, under development by Sentient Science and the University at Buffalo, includes electrodes that relay data to a sensor, which connects with a remote computer network. 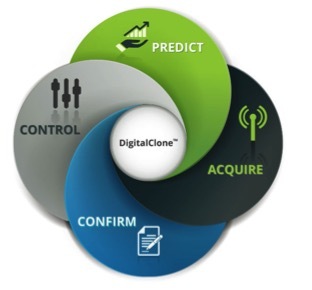 illustration of Digital Clone’s capabilities, which includes the words: Control, Predict, Acquire and Confirm. Sentient Science’s Digital Clone software will combine real-time health data with complex computer models to help alert soldiers and civilians when they’re in danger. BUFFALO, N.Y. – Wearable devices can count the steps you take and the calories you burn. But can they help soldiers in the field? Or prevent someone from having a heart attack? Researchers at Sentient Science and the University at Buffalo say yes. The sensor and software development company is working with UB engineering professor Albert H. Titus to create wearable technology that fuses real-time medical and physiological data with computer models. The system would then send personalized alerts indicating when the individual’s level of stress, fatigue and resilience may put them in danger. 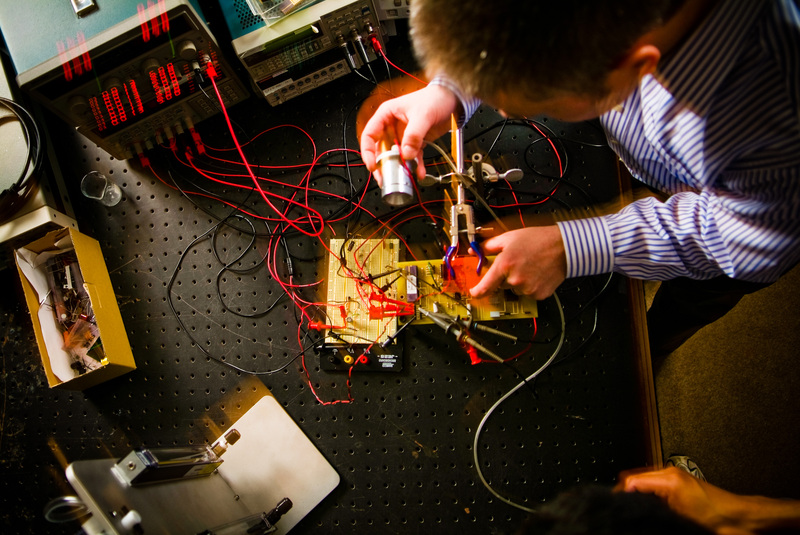 The work is funded by a $150,000 grant from the Office of Naval Research’s Small Business Technology Transfer program, which enlists small businesses and research institutions to develop technology with military and commercial applications. The wireless system, which is under development, will feature a series of electrodes that measure heart rate, brain activity and other vital signs. The electrodes may be attached to the skin like a Band-Aid or sewn into clothing that hugs the skin – researchers are still deciding the best method. The electrodes will relay information to a sensor (slightly smaller than a dime, attached to the skin like a patch), which will deliver that information to a remote computer network. “It’s like the hospital when you have a bunch of wires and equipment monitoring a patient. We’re taking that technology and compressing it into a lightweight, wireless system,” said the project’s principal investigator Jennifer Haggerty, a research scientist and implementations manager at Sentient. Haggerty is an alumnus of UB. As the information enters the computer network, it will fuse with Sentient’s DigitalClone Live software, which has been validated by NASA and used to test the materials and components in the Hubble telescope, the F-35 fighter jet, wind turbines and other products. The software includes complex algorithms that consider things like the terrain, weather and other environmental information, as well as the soldier’s activity level. It will analyze the data and send personalized health alerts to soldiers and, if necessary, emergency medical facilities in the field. The idea is to improve soldiers’ cognitive and physical abilities, making them more resilient and less prone to physical and psychological injuries. In addition to serving the armed forces, the technology has commercial applications as a health-monitoring device. Sentient is exploring how the sensor can be applied to everyday items such as baseball caps. The individual wearing the cap would receive personalized health alerts regarding their risk of suffering a heart attack and other potential danger. The work is an example of UB partnering with private business to advance research and economic development in Western New York. Since relocating its headquarters from Idaho to Buffalo in 2013, Sentient has expanded its research and operations, especially through its use of the university’s Center for Computational Research and its affiliation with UB’s New York State Center of Excellence in Bioinformatics and Life Sciences. Sentient Science provides technology to predict how cracks initiate in materials and how these cracks grow under operating conditions. Its DigitalClone software blends computational tools and condition-based monitoring services that help companies predict and extend the life and performance of critical components in design, testing, procurement and service. Since 2013, Sentient has contracted to provide prognostic and life extension services to more than 4,000 wind turbines in North America.